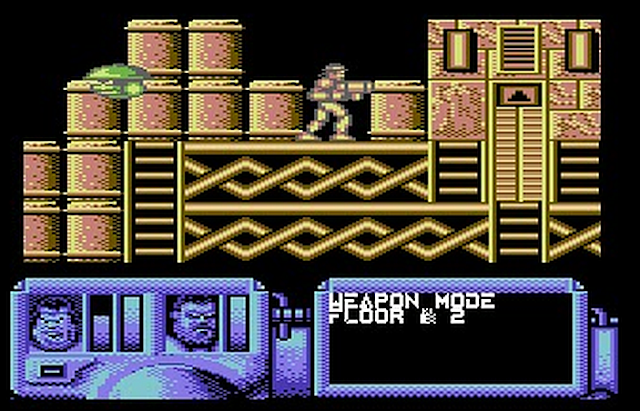 Commodore 64 game releases are coming in thick and fast at the moment... And here's another. This is R.I.O.T. A new game currently in development, and cracked by Laxity. You get to try 4 levels of a game before it's finished. You can also try the preview with infinite energy thanks to the trainer. 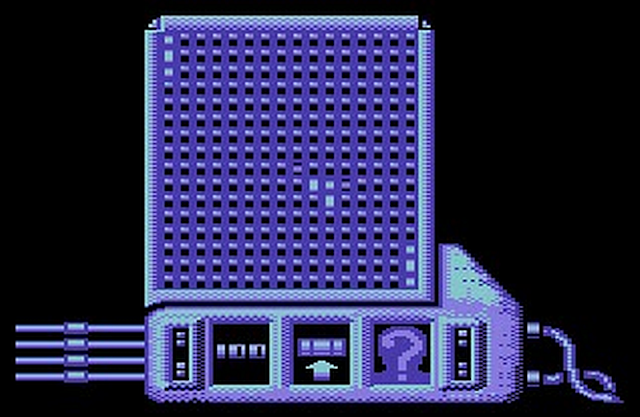 This is a side scrolling action game where you explore levels by running left and right, climbing ladders and finding lifts to other floors. There is a sub game available by pressing F3, which is a kind of bat and ball game, but why it's necessary isn't too clear at the moment. You can also switch between melee and laser gun to kill the flying aliens. The graphics are on the poor side and the controls definitely need to be improved. Firing and moving around feels unresponsive and awkward. I did like the enemy sprites though, blinking menacingly as they hover towards you. But they just fly left or right, and take down a bit of your energy if they hit you, if you forgot to fire at them. I wasn't sure either how to complete a level, or if it's even possible, but you can try other levels from the level select screen.